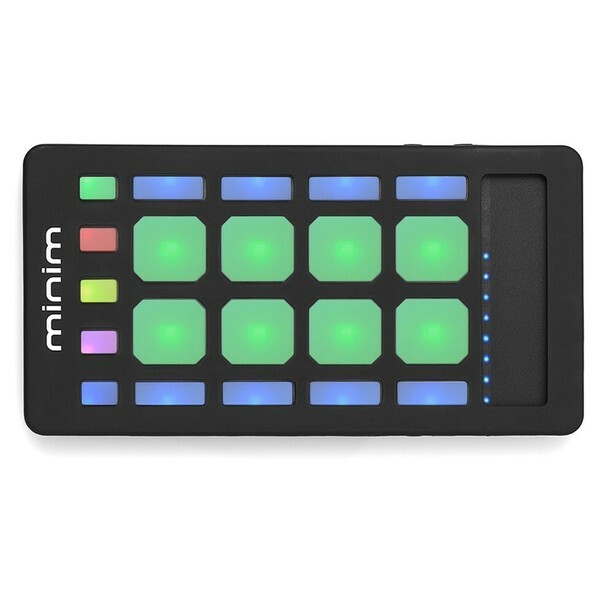 The Livid Instruments MINIM Controller is a compact, portable wireless controller featuring 8 illuminated pads and 15 buttons. The Livid Instruments MINIM controller is the ideal choice for any digital musician on the move, the pocket-sized controller allows you to create music on the fly wherever you are. 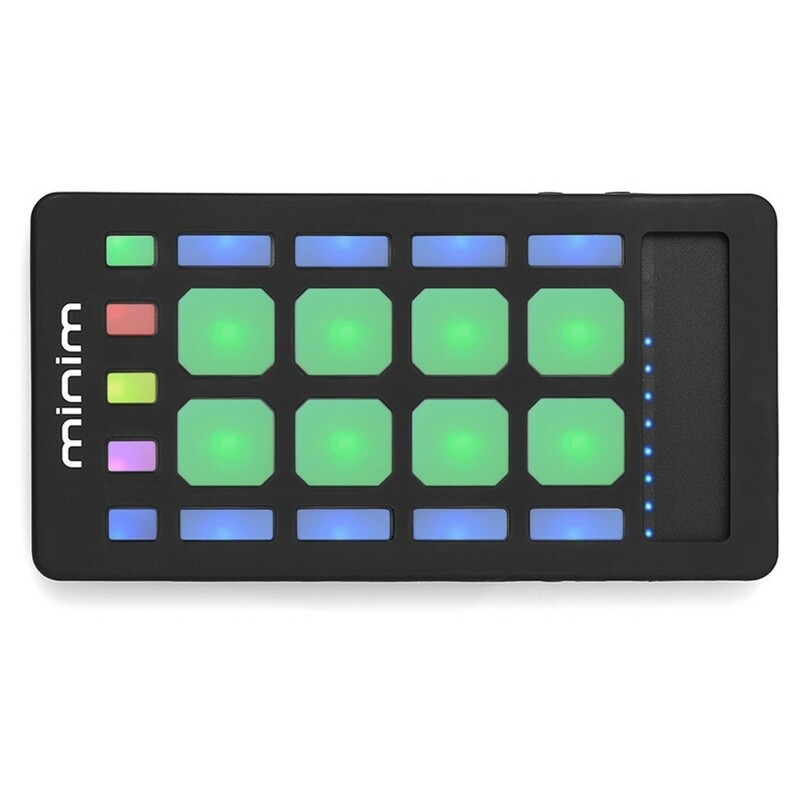 Designed for the iOS and Mac OS X, the MINIM controller will connect to an iPhone, iPad or Mac computer via Bluetooth, allowing you to use your favourite music software. The MINIM controller even features 3D motion control, for creating music using movement. 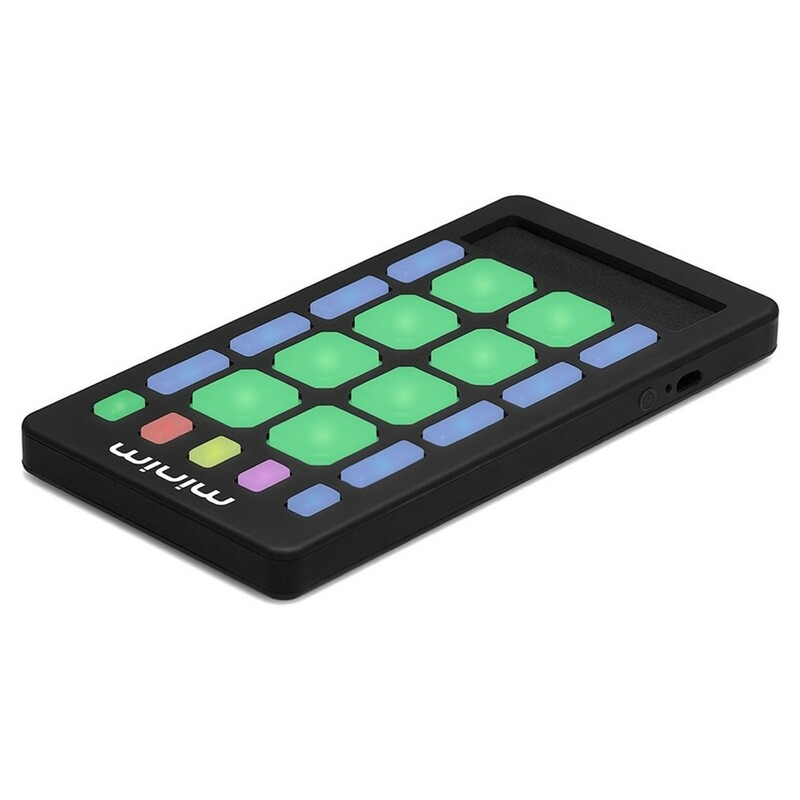 The Livid Instruments MINIM Controller is a pocket-sized wireless controller designed for use with iOS devices and Mac computers. Simply connect to your iPhone, iPad or Mac desktop computer via the built-in Bluetooth connection and you’re ready to go. 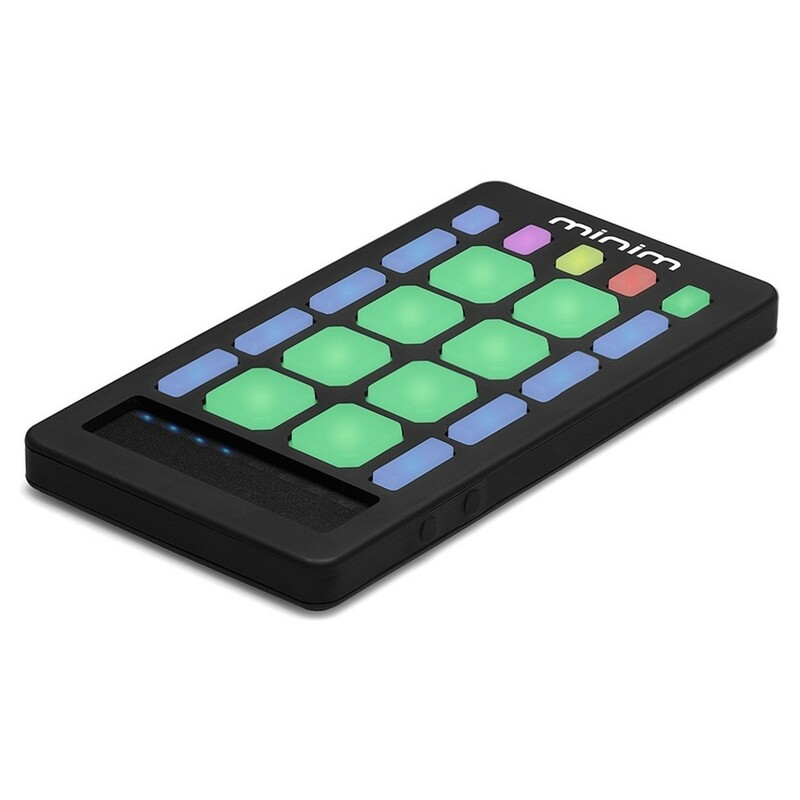 You can use the MINIM with a wide variety of music software, making it highly versatile when it comes to making music. The compact size makes it ideal for the road, allowing you to create and manipulate sound wherever you are. The Livid Instruments MINIM controller features a variety of different interactive pads and buttons including eight expressive touch-sensitive pads as well as fifteen buttons. The buttons and pads feature RGB LEDS for colour-based feedback, as well as allowing you to arrange your samples and sounds in a uniformed fashion. 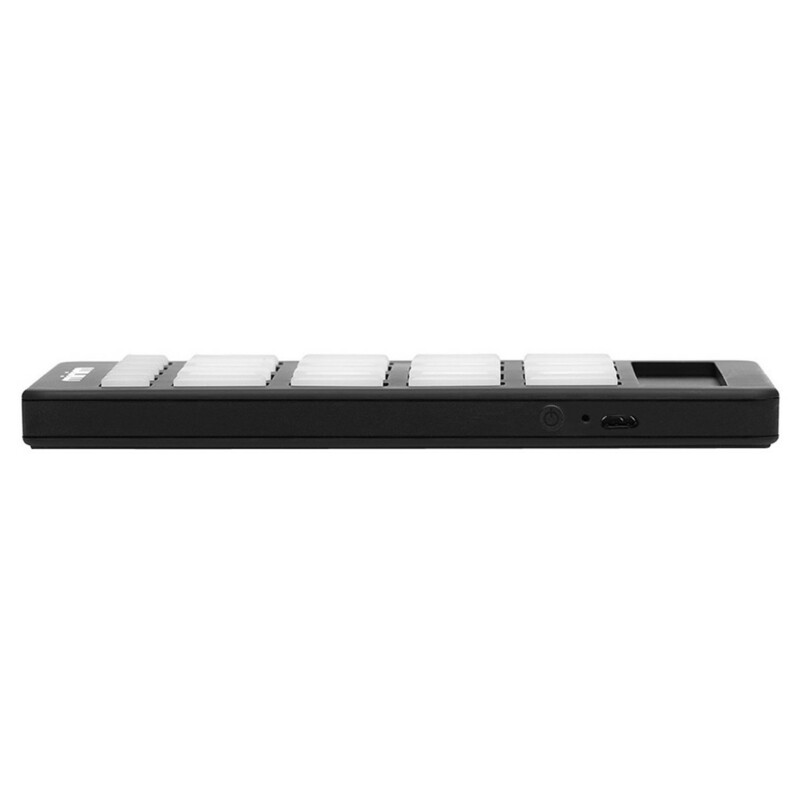 A versatile slider strip is also included, which is ideal for controlling effects such as automation. Additionally, the MINIM features 3D motion control which allows you to use movement to create music. You can use the controller do everything from play live drums, to trigger loops or controlling transport function in your favourite DAW. The MINIM controller is highly compact, making it ideal for the travelling musician, allowing you to create music and manipulate sound wherever you go. The non-slip rubberised bottom surface is designed for optimal stability, allowing you to use the MINIM on virtually any surface without worrying about the controller falling. The built-in long-lasting lithium ion-battery means you can use the MINIM for prolonged periods without having to worry about drop-outs or the MINIM running out of juice. Additionally, the Livid Instruments MINIM Controller comes complete with MINIM Music Lab iOS app and Minim Editor for Mac desktop computer to get you started straight out of the box.